Among the architectural metamorphosis occurring in Toronto are glorious condominiums designed to create a contemporary look while incorporating heritage aspects of the buildings that went before. As you can imagine, developing a new condominium on the site of a well-loved historic property requires a mountain of paperwork and approvals, and I must say, our builders are doing a beautiful job of it. For example, look at the completed and occupied 100 Yorkville, which includes the historic façade of the old Mount Sinai Hospital. It is a lovely building that fits in well with its surroundings. 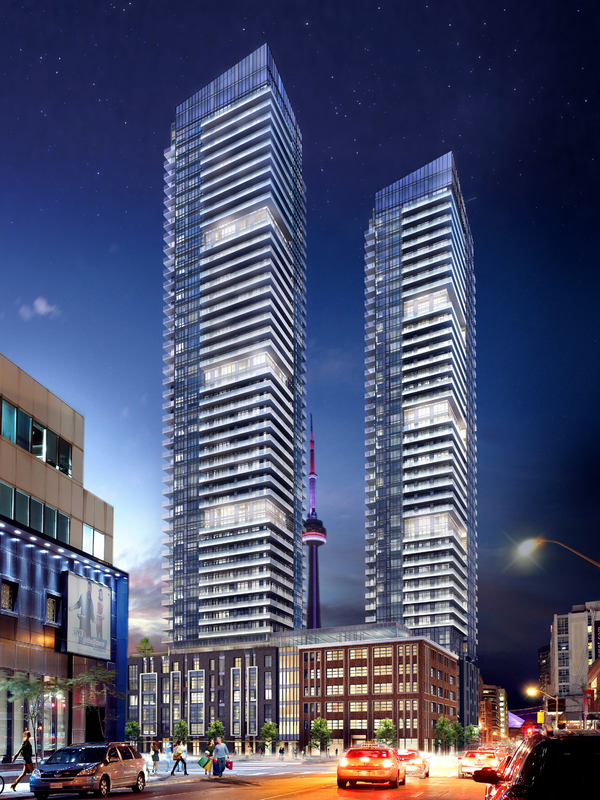 Highly successful King Blue Condominiums is on the go right now at King Street West and Peter Street in Toronto’s Entertainment District. 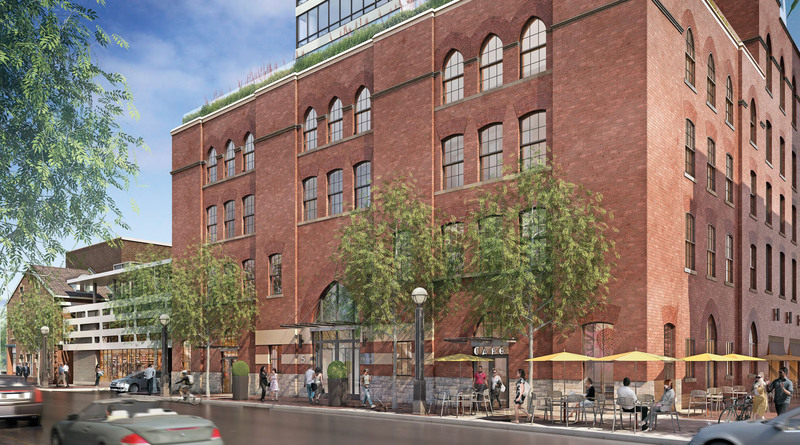 The Easton’s Group of Hotels enlisted Page + Steele / IBI Architects to design this modern building in collaboration with ERA Architects for the preservation of elements of the historic Westinghouse building façade on the site. I cannot wait to see the finished product, which will be absolutely stunning. The Carlaw in Leslieville has a modern exterior that incorporates brick elements that speak to the former industrial makeup of the surroundings. At Yonge and Bloor, construction on FIVE Condos at St. Joseph is progressing well, and that condominium also promises to be an architectural masterpiece. 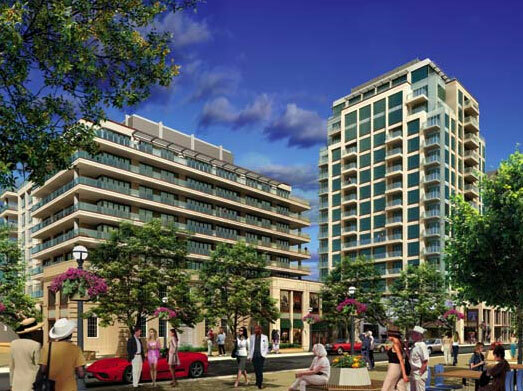 Graywood Developments Ltd. and Mod Developments Inc. are spearheading the revitalization of this prime urban area. The exterior of the modern 48-storey building is by Hariri Pontarini Architects, and ERA Architects is restoring aspects of historic 1880s buildings on Yonge to house new retail venues. The façade on St. Joseph Street includes the restoration of a four-storey 1905-‘07 Gothic Revival warehouse façade. Construction continues to be impressive, with the existing historical façade supported by a massive steel structure. This is one of the largest retention projects ever in the City of Toronto, and it is incredible. These are but three examples of the exciting development going on in Toronto. These buildings will add tremendous character to their streetscapes. Everything old really is new again! As the City of Toronto continues to attract thousands of new residents each year, our public transit system becomes an even more critical component of the high quality of life we enjoy. The debate continues about how best to expand and improve our subways to more effectively carry passengers from points A to B. A recent blog on http://www.Torontoist.com by Toronto transit advocate and author Steve Munro presents an interesting scenario for what could be in Toronto’s subway system of the future. He quotes some head-turning statistics, namely that the demand for transit service in Toronto is growing at 3 per cent annually on the TTC and 5 per cent on GO Transit. He also stresses the fact that although existing expansion plans for areas beyond Toronto are admirable, there is still a need for a subway linking downtown to what he calls the “inner suburbs” – neighbourhoods within City of Toronto boundaries that command a time-consuming commute to the core. As areas such as North York build up with more condominiums, the starting points of commuters move north as well. One possible solution to this dilemma? Munro champions the idea of a “Don Mills Subway” line running from Front and Spadina to Eglinton and Don Mills. This line would connect residents of neighbourhoods such as Flemingdon Park, Thorncliffe park, East York, Riverdale, Leslieville, the Distillery District, Canary District and St. Lawrence with the Eglinton Crosstown LRT, Danforth subway line, the streetcar on Cherry Street that will eventually link to the eastern waterfront, the Yonge-University subway at King and St. Andrew stations, and the proposed satellite GO terminal at Spadina and Front. Of course, time will tell what will actually happen, but it is wise to consider Munro’s ideas. He is a long-time advocate of human-oriented rapid transit, and he received the Jane Jacob’s Prize in 2005 in recognition of his efforts. You can read more about his progressive ideas at http://www.stevemunro.ca. LIVIN’ IT UP AT THE RITZ‑CARLTON! ≈ Comments Off on LIVIN’ IT UP AT THE RITZ‑CARLTON! There are oh, so many reasons why The Residences at The Ritz‑Carlton, Toronto was a 2013 Canadian Condominium Institute (CCI) Condo of the Year Finalist. Among the qualifications are community spirit and uniqueness, and this remarkable condo situated above The Ritz‑Carlton Hotel certainly lives up to those concepts. Residents are living life on a grand scale in sumptuous suites that offer breathtaking panoramic views in sublime surroundings. 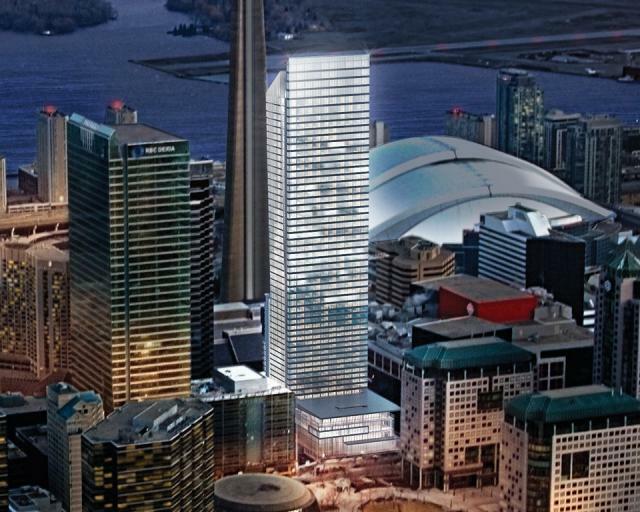 This steel and glass architectural landmark has added cosmopolitan charisma to Toronto’s skyline. The hotel’s urbane lobby provides a stunning welcome that sets the tone for the entire building. Among the hotel amenities residents can access are the five-star TOCA Restaurant, Ritz Bar, DeQ Lounge and MyBlend By Carins Spa. In addition, The Residences features its own exclusive Sky Lounge, massive roof terrace, fitness studio, plus games, board and screening rooms. Suite owners also experience the cachet of living in one of Toronto’s most striking condominiums in the city’s prestigious “New Yorkville,” steps from the exciting Entertainment and Financial Districts. Prices for the remaining suites begin from $1.28 million. The fact that the sumptuous Penthouse mansion-in-the-sky is sold and occupied is proof that at any price, there is always a demand for the utmost in quality and design in the luxury market! To find out more about the available suites, book an appointment in the dazzling Presentation Centre inside the NEWBURY, the fully furnished model of 3,280 sq. ft. on the 45th floor at The Residences. Call 416.591.1000 or email info@theresidencestoronto.com. Streetcar Developments continues to amaze me. This forward-thinking developer is creating some of Toronto’s most charismatic boutique loft condominiums including The Carlaw, which is under construction in trendy Leslieville. 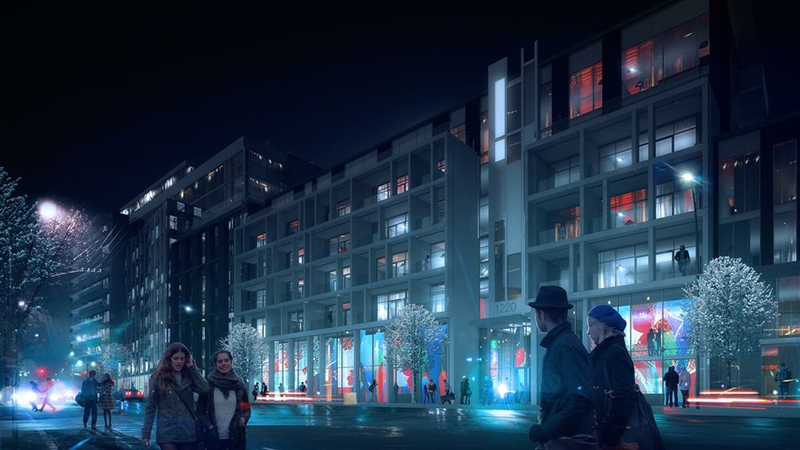 In spring 2014, Streetcar will launch The Taylor – a brand new loft condominium next door to the successful Carlaw. Designed by TACT Architecture with a smart modern exterior, The Taylor promises to be every bit as cool as its dynamic surroundings. Leslieville pulsates with diverse culture, funky shopping, eclectic restaurants, amazing specialty food stores, and so much more. This is a vibrant established historic neighbourhood, and the changes it is undergoing are fabulous. With large film studios in the area, a lot of artsy types are looking for a home that offers exposure to amenities and urban culture in a convenient locale. In fact, right next door at The Carlaw, Crow’s Theatre will be taking up permanent residence to turn this block into a community and cultural hub. Residents will also live mere minutes from downtown, Lake Ontario, the Don Valley Parkway, Gardiner Expessway, Jimmie Simpson Park and scenic trails. 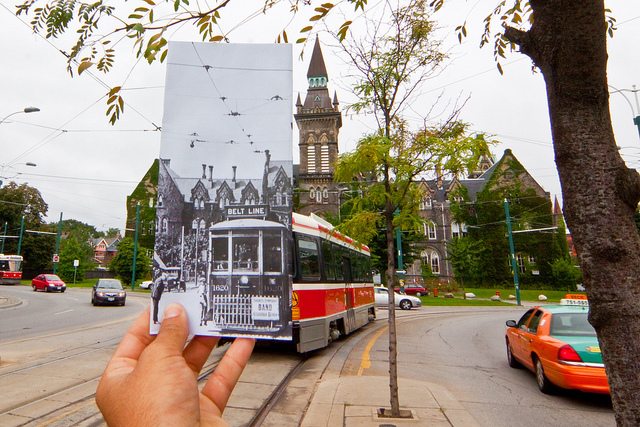 Both the Dundas and Queen streetcars are close by for ease of getting around the city. You will find something for everyone at The Taylor. Loft choices will range from one-bedroom to two-bedroom + den designs, and there will be a selection of urban towns. Among the standard features are 9-foot exposed-concrete ceilings, frosted-glass sliding doors, quartz kitchen countertops and Ceran cooktops. Owners will also have a generous terrace or balcony, and some layouts even have two. Very fashionable. And can you believe this? Prices will begin from the mid-$200s! Streetcar’s new condominium is sure to sell quickly. My advice is to register NOW for advance information at www.TaylorLofts.ca or call 416-690-8588.